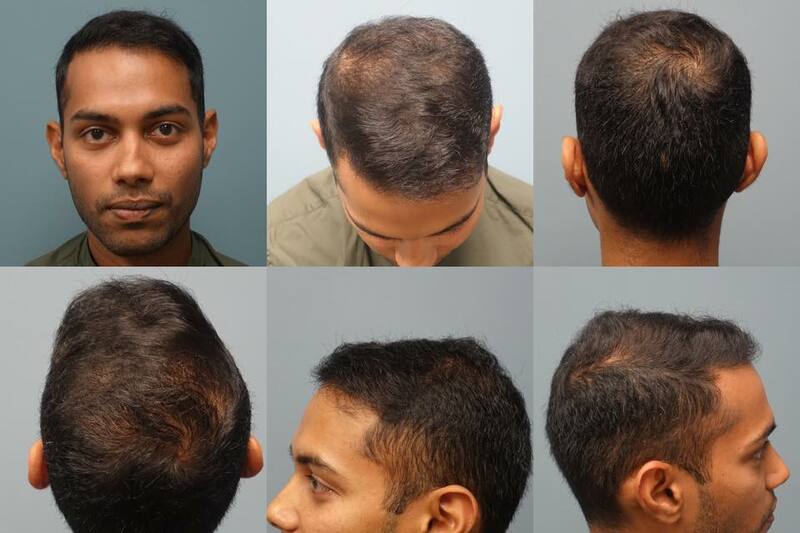 Real Patients- Real Results by Dr. E. Ronald Finger and his experienced team of hair restoration technicians. What causes hair loss? In both men and women, the most common cause is generally genetic. However, there are hormonal causes as well, such as thyroid imbalances or excess testosterone, which causes an increase in DHT (dihydrotestosterone). Many men on steroids have increased in DHT, and this causes permanent hair loss. In men, the most common type of hair loss is called Male Pattern Baldness(MPB), and in women, Female Pattern Baldness (FPB). What options are there for hair loss in men? If they have MPB, they can try minoxidil 5% (Rogaine) foam or solution. This will keep one from losing more hair and may increase the hair diameter. Finasteride, an oral medication, prevents the conversion of testosterone to DHT. Often both are used together to reduce hair loss. The other option is a hair transplant. What options are there for hair loss in women? For women, hormones should be checked first. If hormones are normal, they can try minoxidil also. Neograft hair transplants are often the best choice if various (including short hair) hairstyles are worn. Women often lose hair temporarily. Hair Loss caused by stress or aging (imbalanced hormones) can often be remedied with Bioidentical Hormone Balance Therapy. Stress hair loss or hair loss caused by trauma (traction alopecia,) can also be treated with injections of Platelet Rich Plasma. What are the current types of hair transplant procedures? The old method is taking a strip of scalp from the back of the scalp and cutting it up into grafts. The latest hair transplant systems utilize the FUE follicular unit extraction method. FUE allows for each hair follicle to be extracted from the back of the head individually. This avoids the linear scar and minimizes healing time. The procedure takes longer and there is maximum graft amount of 2500 per procedure. Each graft contains between 1-4 hairs. FUE produces natural long-lasting results. Expectations? Grafted hair starts growing at 3 months. Full density is achieved by 12-15 months after the procedure. Generally, it is permanent. Can African Americans benefit from Neograft? Yes, African Americans and anyone that wears short hairstyles can benefit from the No-Linear Scar FUE Neograft method of Hair Restoration. 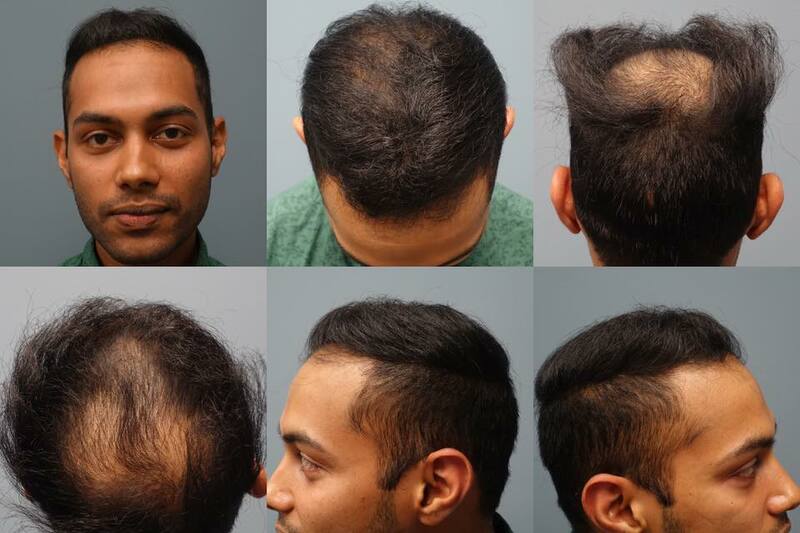 This patient received 1200 grafts (1-4 hairs per graft). Before and after 7-months. 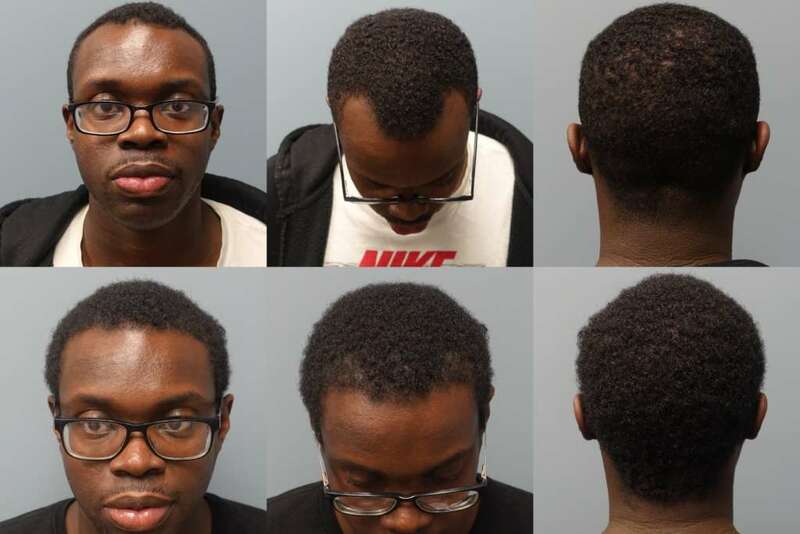 Amazing improvement in overall density and a beautifully restored hairline. Contact us for more information or to book your consultation with Dr. Finger.